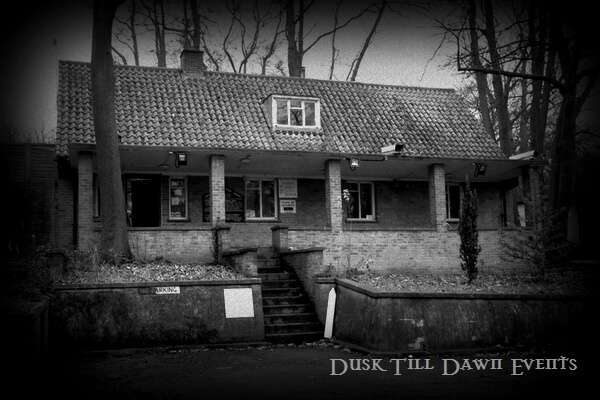 Step inside the secluded dark and very daunting Kelvedon Hatch secret Bunker in Essex for a night of terrifying ghost hunting with an optional sleepover once the ghost hunt has ended if you think you are brave enough! The foreboding Kelvedon Hatch Nuclear Bunker is situated in Brentwood Essex – built by the Air Ministry it is a large underground bunker complex which was maintained during the cold war as the potential regional government headquarters in the event of a nuclear attack. The bunker originally built in 1952 is well hidden from view it is buried deep underground with just a simple bungalow on show above ground level acting as a decoy - the bungalow guards the entrance to the bunker. Just inside the bungalow is a 120m long tunnel which leads into the main bunker. The bungalow and tunnel are heavily reinforced, and would serve mainly as protection from the blast and radiation of a nuclear bomb. Investigated by the Most Haunted Team in 2009 this strange and intimidating location is a hot spot of paranormal activity with stone throwing poltergeist type activity and many reports of ghostly figures which are said to have been witnessed here. Discarnate spirit voices have also been said to have been heard at this location along with sinister growling noises and intense foul odours within the darkness during investigations. If you are looking for a scary night with a difference then join us for a night of scary ghost hunting as we take you into the depths of this reputedly haunted secret bunker! Ghost Hunt with Optional Sleepover – please bring your own sleeping bags/air beds etc if you are wanting to sleepover once ghost hunt has finished at 3am. Please Note: The ghost hunt will finish at 3am should you wish to extend your night after the ghost hunt by sleeping then please bring your sleeping bag, camp bed, blow up air bed and pillow along with you. *If paying by Deposit please note the final payment for this event will be required no later than the 12th September 2019.